…God is not a God of disorder but of peace. As in all the churches of the saints, the women should be silent in the churches, for they are not permitted to speak, but should be submissive, as the law also says. And if they want to learn something, they should ask their own husbands at home, for it is disgraceful for a woman to speak in the church meeting. Father please bring and maintain peace in my life, even during storms. Please enlighten me as to Paul’s words reinforcing a belief of order within Your church and the roles of man and woman, as they seemingly contradict his letter to the Romans and the makeup of many of today’s churches; in many families we see a contradiction to Paul’s writings; his writings even contradict or don’t fully align with Your Word as shared in other books in the Bible, as well as through recollections of those repeating Jesus’ words—-as a representation of You. Father help us to see how Your gifts can best be applied to and for use by both men and women, so that none of us are wasting our gifts and making a mockery of Your good name. Help us to serve fully as You would intend. In Jesus’ name. Amen. I was thrown off by these verses because they basically say a woman has no voice in the church, and any questions that she has should be asked of her husband at home, and any voice that she has, or may have, is only given to her by a man. But what of the woman chosen and empowered by God? Are we to believe that God would only choose women in the roles of bearers of human fruit that He nurtures (the “fruit”) into leaders? Or is it unfathomable to embrace the examples given in earlier accounts of women whom God called to serve in capacities greater than just mothers and wives? Do we discourage women from listening and tuning in to that Voice inside that calls them to stand up, speak, and lead both in the church and in the community? I pray for clarification, for the Bible serves as an amazing roadmap that is timeless in some ways, in many ways, in most ways. A benefactor is a helper of a person or a cause. Phoebe was called Sister Phoebe. By giving her the name “Sister” this also signifies her status as a Christian; a member of a spiritual family–and not a title given to any and all women. The word for “servant” in Greek (as this is translated from Greek) is diakonos [dee-ak’-on-os], which in English is “deacon” or “deaconess” (when spoken in the feminine). Was a female deacon not still a deacon? Is a deacon not a leader in the church? So what changed from Romans 16 to 1 Corinthians and 1 Timothy? There are approximately 15 historical records of women being ordained in antiquity [meaning ancient times before the Middle Ages] by Christians, although the Catholic Church and Orthodox Churches claim that those ordinations were by heretical groups and don’t “count”; despite claims that the groups were actually orthodox and that both the Catholic Church and Orthodox Churches were in fact heterodox. Both the Catholic Church and Orthodox Churches state that ordaining female priests and bishops is to be condemned as it is unacceptable in the Church—for only a baptized man can validly received sacred ordination as a matter of divine law. This has been reinforced as of 2014 by Pope Francis who said this is a non-issue; it is a given. Although in 1964, Addie Davis became the first Southern Baptist woman to be ordained, in 2000 the Southern Baptist Convention stopped ordaining women, and told those already-existing female pastors that they could continue their jobs, but no other women after them would be ordained. I wonder what happened in 1999 or 2000 that caused this deviation and change? Why is it that now women are deemed no longer eligible, fit and capable to lead in the Southern Baptist Church as pastors? In 1 Timothy 2:11-12 Paul says “Let a woman learn quietly with all submissiveness. I do not permit a woman to teach or to exercise authority over a man; rather, she is to remain quiet.” Some use this as an argument that reinforces the belief that God ordered, through Paul, that women are not to lead in the church. But Paul said, “I” not that God said. He said that he spoke as a servant of God. It is also noted that women for the most part were not educated, as men made it clear that a woman’s role was to be a wife and child-bearer, and then of course there were the few who were prostitutes and “harlots” to serve man’s carnal pleasures that far-exceeded what he could respectfully subject his wife to and not “damage” her (in God’s eyes). But when we speak of a woman’s education as a factor, that counters the fact that education is not the factor in 1 Timothy 2:11-12, nor is it a qualifier for church leadership in 1 Timothy 3:1-13 (qualifications to be bishop or deacon) or Titus 1:6-9 (ordaining elders and bishops and the qualifications of the candidates). Many argue that if education was a qualifier then most if not all of Jesus’ disciples would be have been disqualified. Education, culture, and marriage are none of the restrictions in 1 Timothy, although marriage is an implied or stated “restriction” in 1 Corinthians 14:34-35. So what is ultimately the overarching restriction and reasoning behind this according to Paul? In 1 Timothy 2:13-14, he wrote, “For Adam was formed first, then Eve; and Adam was not deceived, but the woman was deceived…” and because of her (Eve) deception in the transgression (from the serpent) Paul wrote in 1 Timothy 2:15, that “she will be saved through childbearing if they continue in faith, love, and holiness, with good judgment“. Interesting enough, I have not found one version that says “she will be saved through childbearing if she continues in faith, love, and holiness…”, so would the “they” be both she and her husband? Because this is not the plural of women, it was singular as woman—but even with these words, it is an exclusion through marriage and a tie-in to childbearing—but what of the single woman (why is she excluded) or what about the barren wife? Is she now no longer saved, even if she and they continue walking in faith, love, and holiness? Paul’s letter does not consider the what-ifs. It is not for the critical thinker that Jesus told His followers to be. Paul is saying that since God made Eve after Adam and then was later deceived by the serpent, and caused Adam to be deceived, then she is not fit to lead, correct? But he says nothing about the fact that Adam was deceived by Eve, so is that a sound argument proving man’s fitness over woman? If Adam was wiser and with stronger will, then why was it possible for him to also be deceived? Paul’s argument would most likely be that women can only lead a man to his downfall. So following this premise that would then mean that women are not to serve in any role where they would have authority to spiritually teach men—as teaching, pastoring, and shepherding men is reserved for men—which refers you back to 1 Timothy 3:1-13 and Titus 1:6-9. But I find nothing spoken by Jesus that states this way of thinking, nor do I find anything in the Old Testament that would say that only men can teach, pastor, and shepherd to both men and women. That has a lot to do with the fact that the Bible is incomplete, hundreds of books missing, a great deal edited to reflect what religious and political leaders wanted reflected in that day. And as humans we are limited by and through our interpretations and understandings. Why then did some houses of faith deviate or pivot slightly from the New Testament proclamations? Why are some houses of faith being led by a different understanding of how and whom God uses to spread and teach His Word and ways? In 6th century BCE, Buddha’s aunt and foster mother was the first woman to receive Buddhist ordination as a nun. The first female monk was ordained in Thailand in 2002. Between 1590-1670 the first female rabbi of Jewish history is noted by some scholars, but the world’s first ordained female rabbi was not until 1935 in Germany. In 1815 (in New England), the first woman was ordained in the Free Will Baptist faith. In 1853 the Congregational Church ordained its first female minister. 1866 is noted as probably the first time a woman was ordained in the Methodist Protestant Church; although not listed officially. In 1880 is recorded as the first official recognition of a woman being ordained as a minister in the Methodist Protestant Church. That same year, Scotland ordained their first woman, making her the first in Scottish and European history. In 1947 the Lutheran Protestant Church started to ordain women as priests. These are just several examples. Over the past two hundred years we have noted hundreds of women who have been appointed and recognized as leaders in houses of faith around the world. What changed, that people began to believe that it was and is acceptable for women to take part in the church, as leaders in the church, as spiritual teachers of men and women? Or is it that men had to and still have to first approve of a woman speaking her mind and serving as a church leader—and specifically (and especially) as a pastor, priest, rabbi, monk, etc? Why do many other houses of faith still refuse to allow women to lead? Is it because the role of woman is only to be a helpmate of man? Or is this merely the weakness of man to keep beneath him the woman, rather than allowing God to use her as He sees fit? 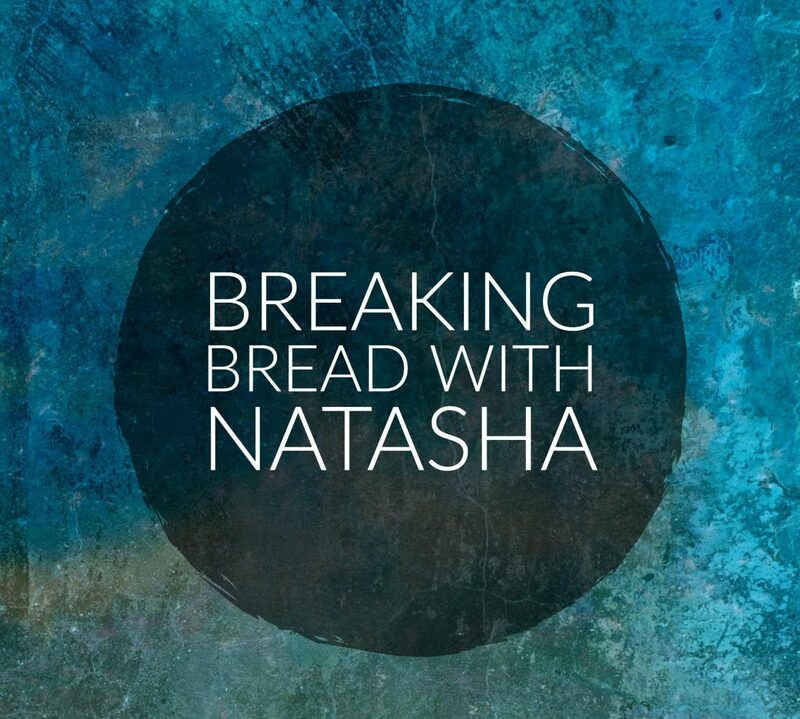 Comment below or at our Facebook Page @BreakingBreadWithNatasha, or you can email me at breakingbreadwithnatasha@gmail.com. I’m really interested in your thoughts about this and other topics. Please Note: This message was originally published on July 26, 2013. It has been modified to align with current standards and formatting. This message has also been significantly expanded to include current-day reflection and extensive research by Natasha. It now also includes an audio feature.